According to the American Heart Association, heart disease is the number one killer of women in the USA. 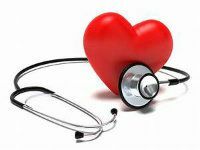 February is the Heart Health month and that’s why we have dedicated our blog post of the month to heart health. 1. Get enough sleep! Recommended are 7-8hrs of sleep and studies have proven that being asleep before midnight benefits your sleep and your health. 3. Move! Incorporate at least 30 minutes of activity daily. Go for a walk, run or take a fun workout class. Pick something that is fun for you, it makes it a lot easier and you will feel amazing after. 4. Eat nutrient dense foods. Eat plant-based as much as possible and you automatically eat a lot of nutrient dense foods. Fill you plate with vegetables, fruits, nuts and seeds. 6. Say NO to processed food period! Get rid of packaged, highly processes and modified food. 7. Cut back on salt! We recommend using Himalayan pink salt. 8. Manage your weight. Being overweight has a negative effect on your heart. Stick to a plant-based, mostly raw diet and you never have to worry about your weight again. 9. NO smoking and reduce your alcohol intake! 10. Don’t skip your breakfast - breakfast is the most important meal of the day and should NEVER be missed. Try out one of our delicious breakfast recipes like the immune booster smoothier or a chia pudding. Super healthy and super delicious! If you'd like to receive more tips and recipes, sign up to our newsletter.